Cowboy Ethics fans asked for posters, and we responded with three that serve as striking reminders of cowboy principles. 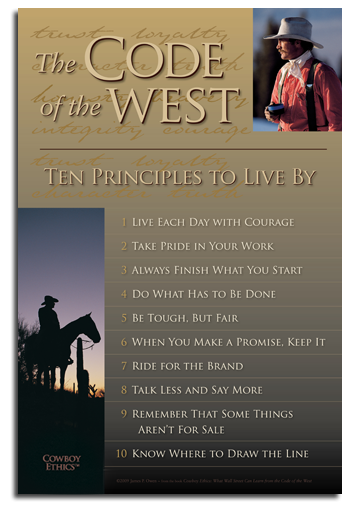 The first of these is the Code of the West poster. Not only is it perfect for home, office or classroom, it makes a great gift, too.